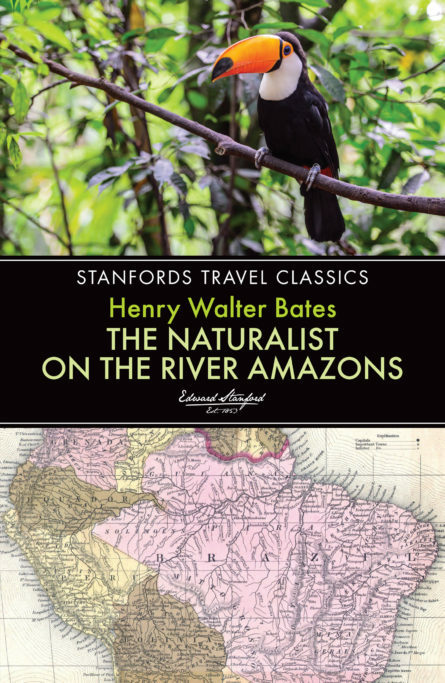 Henry Walter Bates and his co-naturalist Alfred Russel Wallace embarked together in 1848 on an expedition to the forests of the Amazon in search of plants and animals that would help solve the problems of the origin of species. Wallace returned to England in 1852, but tragically lost his entire collection in a shipwreck, while Bates stayed on for seven more years, accumulating more than 14,000 specimens, of which a staggering 8,000 were previously unknown to science. The Naturalist on the River Amazons was published in 1863 and catalogues a wondrous range of natural life in vivid description and detail. But Bates’ book is much more than a scientist’s log. His remarkable dedication to the challenges of exploration, and his deep appreciation of the beauty and rhythms of the world of river and rainforest, shine through in his writing. Although he finally confessed that “the contemplation of Nature alone is not sufficient to fill the human heart”, his record of the time he passed “in the Garden of Eden” offers timely inspiration to our own age in its battle to preserve the planet’s environments.